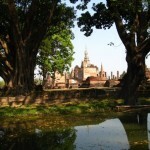 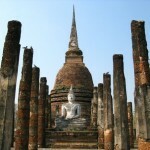 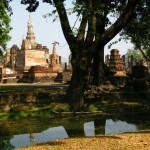 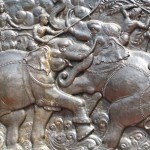 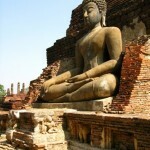 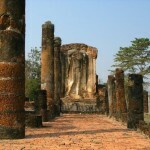 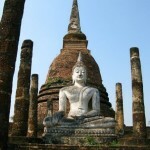 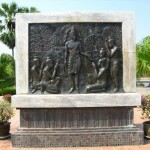 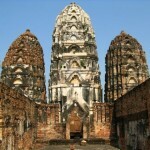 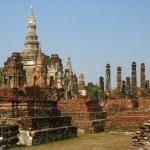 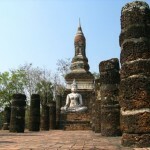 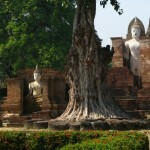 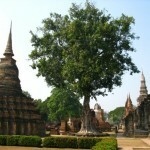 A perfect little stop on your way to Chang Mai from Bangkok is the small city of Sukothai. 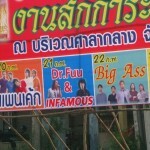 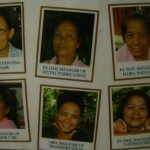 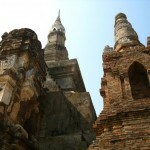 Not only is this one night stop over a fascinating spot, it also breaks up what would be a rather arduous bus journey. 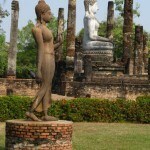 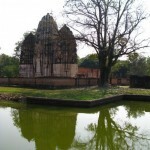 Just outside the city limits sits a famous tourist attraction, the ruins of the ancient city of Sukothai which was the Thai capital in the 13th Century AD. 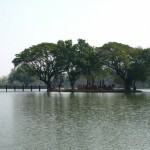 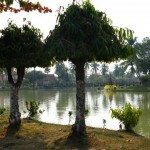 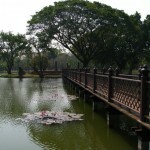 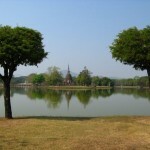 I woke up early and grabbed a local bus to the entrance of the Historical Park where I rented a bicycle for the day. 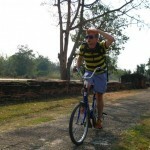 With a handy map in my pocket I listened to Ace of Base and Feist all day while peddling about. 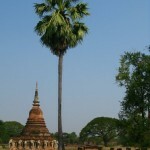 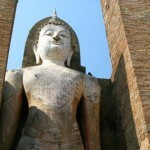 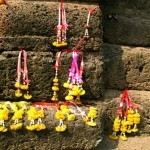 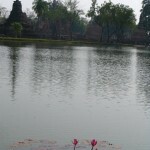 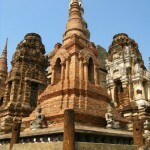 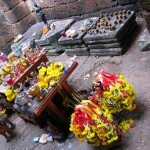 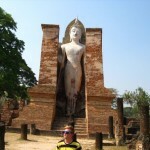 I felt very free spirited that day, all on my own, engaged with my music and taking snap shots of 800 year old Buddha’s. 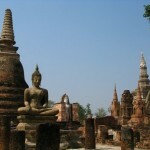 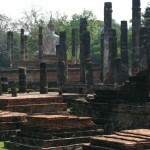 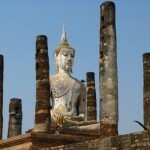 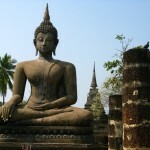 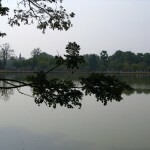 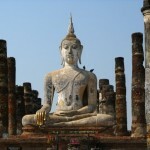 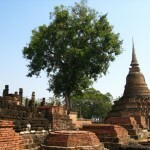 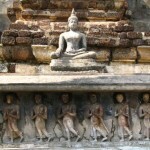 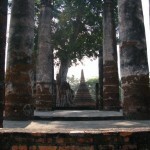 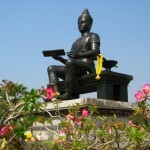 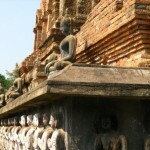 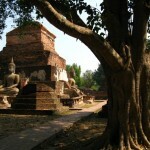 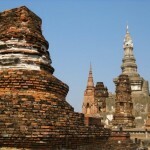 Sukothai is a good work out and a nice mental calm from the bustle of Bangkok.